Iceland’s Queen of Crime returns in 2019 with the second installment in her superb Children’s House series: THE RECKONING. Picking up where her 2018 release THE LEGACY left off, Sigurdardottir’s newest crime novel delivers a gritty, layered procedural exploring the longstanding implications of childhood trauma. Readers follow series protagonists Detective Huldar and psychologist Freyja as they find themselves immersed in a bizarre case: a school’s time capsule is opened, and in it is discovered a note predicting the deaths of six people. A child wrote it… it can’t be real, can it? But when a string of inexplicable - and gruesome - events take place, Huldar and Freyja begin to suspect the note isn’t just the product of a child’s imagination after all—and, if they’re right, there’s much more darkness to come. Living up to her work’s well-earned reputation as crime fiction that borders on horror, Sigurdardottir’s THE RECKONING is guaranteed to give you goosebumps. In a story both gruesome and heart-wrenching, Sigurdardottir weaves a masterful mystery that belongs on the bookshelf of every Scandinavian crime fiction reader. Nordic Noir fans, listen up - this fall is bringing with it some fantastic new crime novels to sink your teeth into, including Sara Blaedel’s THE SILENT WOMEN—the second book in the author’s internationally bestselling Louise Rick series. (Of note: this book was previously published in the US under the title Call Me Princess.) In THE SILENT WOMEN, Copenhagen detective Louise Rick faces a disturbing case when a young woman is found brutally assaulted in her home, the victim of a man who appears to use dating websites to identify and meet his prey. THE SILENT WOMEN was Blaedel’s breakout book in her native Denmark, and it’s easy to see why. Dark and visceral, this chilling crime story will get under readers’ skin and stay there long after the final page is turned. The crimes portrayed in this book are deeply disturbing, but Blaedel handles them with sensitivity; readers will find Louise Rick a fantastic advocate and champion for the women who fall victim to our story’s criminal. Where THE MIDNIGHT WITNESS, Book 1 in Blaedel’s Louise Rick series, is a more slow-burning story, THE SILENT WOMEN is gripping right from the outset; readers looking for a procedural with tense, page-turning pacing will thoroughly enjoy this series installment. 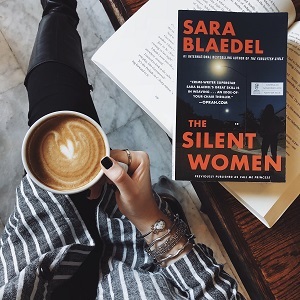 THE SILENT WOMEN is sure to hook readers on Sara Blaedel’s Louise Rick series. Looking for a crime series perfect for fall weekend reading? Danish crime writer Sara Blaedel’s Louise Rick series belongs on your list. When I picture the kind of book I want to be reading on a crisp autumn evening, it’s a book exactly like Blaedel’s: something atmospheric, layered, immersive, and perfect for cozying up with when the weather gets cold. If this sounds up your alley, add Blaedel’s THE MIDNIGHT WITNESS to your TBR. Technically the first book in Blaedel’s internationally-bestselling series, THE MIDNIGHT WITNESS is now being made available to US readers in a brand-new edition from Grand Central—and it will work for both newcomers to Blaedel’s work and established fans of the series. In THE MIDNIGHT WITNESS, homicide detective Louise Rick is tasked with solving the brutal murder of a young woman in her hometown of Copenhagen, Denmark… but when her best friend, journalist Camilla Lind, asks her to investigate the murder of a local journalist as well, Louise finds herself in over her head - and in the crosshairs of two killers. THE MIDNIGHT WITNESS is the book that launched Blaedel’s internationally-bestselling Louise Rick series around the world—and American readers will fall in love with Blaedel’s endearing and headstrong detective in this compelling mystery. In an instant, the life you know can be taken away. That’s the premise of Paula Daly’s sharp and thoughtful domestic suspense novel OPEN YOUR EYES, available in the US tomorrow (October 9, 2018). Centering around the wife of a bestselling crime writer, OPEN YOUR EYES confronts readers with the terrible ways that our ordinary could become anything but. 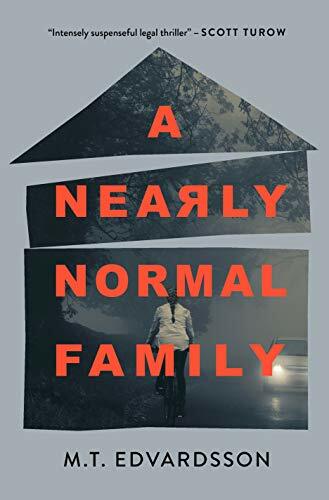 When a brutal crime leaves Jane Campbell’s husband Leon in a coma, Jane is forced to pull the proverbial wool from her own eyes and confront the secrets her husband has been keeping from her in their otherwise idyllic marriage. As Jane plumbs the depths of her husband’s secret life, she finds that her tranquil existence has been a facade—and what lies beneath is more troubling than she could ever have imagined. 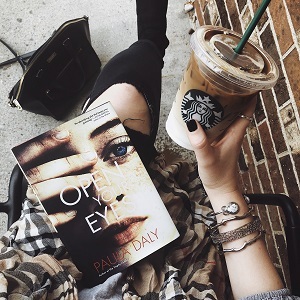 Daly writes deftly about ordinary life; OPEN YOUR EYES is a subtle and nuanced suspense novel that will best suit readers looking for a story made chilling by its plausibility. This is not a story defined by shocking violence or twists—it’s a story that is unsettling because of how closely the lives of its characters resemble the lives we ourselves lead. Readers will find protagonist Jane an acquired taste, but the deeper she digs into the truth of her own life - and the more agency and independence she develops in the process - the more they will root for her. OPEN YOUR EYES is tense, chilling reading material, and a breath of fresh air in the domestic thriller genre. I will never be a reader who gravitates towards pure horror, but 2018 has, thus far, made me a bit of a convert when it comes to crime novels laced with touches of the supernatural. Earlier this year, I read Yrsa Sigurdardottir’s brilliant Icelandic ghost story-meets-mystery I REMEMBER YOU; I recently devoured Sharon Bolton’s THE CRAFTSMAN, a procedural with some otherworldly undercurrents; and I similarly loved S.J.I. Holliday’s forthcoming THE LINGERING, an atmospheric psychological thriller set in a building with a dark past life. If you are strictly anti-supernatural in your crime fiction (which I totally understand! ), today’s featured title will be one you’re better off skipping. If, however, you are open to something a little different as you plan your fall reading list, S.J.I. Holliday’s THE LINGERING will make for an addictive, binge-worthy, utterly chilling suspense read. Pick THE LINGERING up on a dark, cold winter’s night, and you will find yourself transported to the mysterious, richly atmospheric world of Rosalind House, a building with a history as dark as those of its residents. 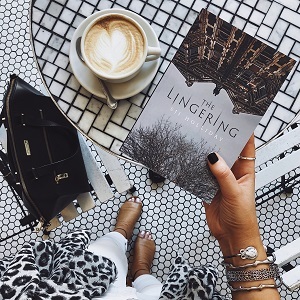 Part locked-room mystery, part Gothic suspense, part ghost story, THE LINGERING is one of the most unusual - and chilling - suspense novels you will read this fall.